As I have continued to talk and speak about IPv6 and issues around migrating applications over to IPv6, one of the themes that has repeatedly come up is that developers are looking for examples of people who have gone through the migration from which they can learn. Understandably, they’d like to know what pain – or NOT – other developers had to go through to migrate their app to work on IPv6. With that in mind, I’m thinking of adding a new section to the book with specific case studies around apps that moved successfully into a IPv6/IPv4 world. Basically capturing what the developers did or did not do, what they had to change, how their application needs to be configured to work with IPv6 (if it does), etc., etc. 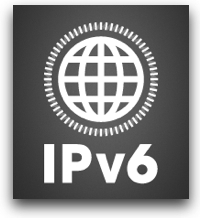 IF YOU HAVE MIGRATED AN APP TO IPv6, I’D LOVE TO HEAR FROM YOU! I have some questions I’d like to ask you about what you’ve done, the challenges (or lack thereof) you encountered, etc. I expect that an email exchange is all that is needed, although if you are interested I’m toying with maybe also doing some video interviews as well (typically via Skype video). Please do contact me if you’re willing to share your experience. Working together we can build a compilation of case studies that can help more people make the move to IPv6! Thanks! Pingback: First Update Started To “Migrating Apps to IPv6″ – Any Further Feedback? This server has received 4034673 hits from both ipv4 and ipv6.